1 min to prep this 4-ingredient pressure cooker congee. Thick & creamy rice porridge is mild and easy to digest. Perfect comfort food for cold or sick days. Instead of chicken noodle soup, try a comforting bowl of pressure cooker congee! Congee is like a warm hug from mom that soothes your soul. Whenever we’re not feeling well, the first thing my mom would do is to make congee for us. Since the rice is largely disintegrated, it’s mild, super easy to eat and digest. It’s also a great way to flush more water through your system when you’re sick. 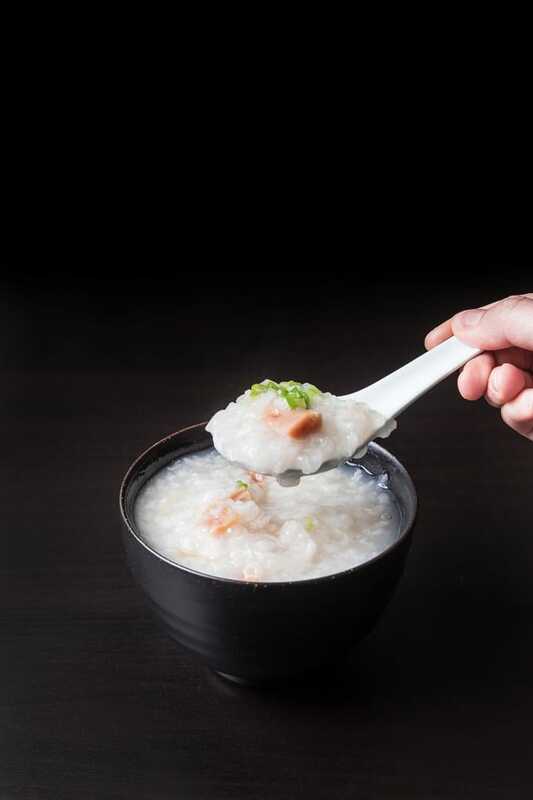 Congee, also known as Jook, is a rice porridge that’s core to the Chinese culture with thousands of years of history. During the times of famine and war, people would use 1 cup of rice and 20 ~ 30 cups of water to feed many people. But it was by no means only a poor man’s food, as even the Emperor enjoyed this dish. The congee base is the soul of all congee. Some people like it super watery (like the Chiu Chow Jook my grandma makes) while others like it super thick and creamy. From there, people would throw in ingredients like meat, fish, seafood, preserved vegetables, or century eggs. 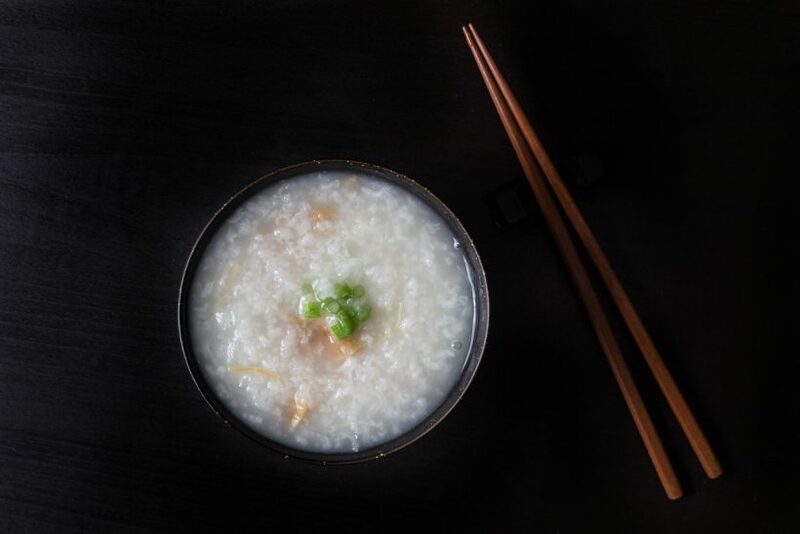 So, let’s get a taste of Chinese history with this ultra-simple pressure cooker congee. Conpoy (dried scallops) – We didn’t get our conpoy online as we usually get them directly in Hong Kong. Try to buy conpoy from your local Chinese herbal medicine stores if possible. If you’re not able to find any, this one ships from Hong Kong. Cooking time (electric pressure cooker): High Pressure for 30 minutes & Natural Release for 15 minutes. 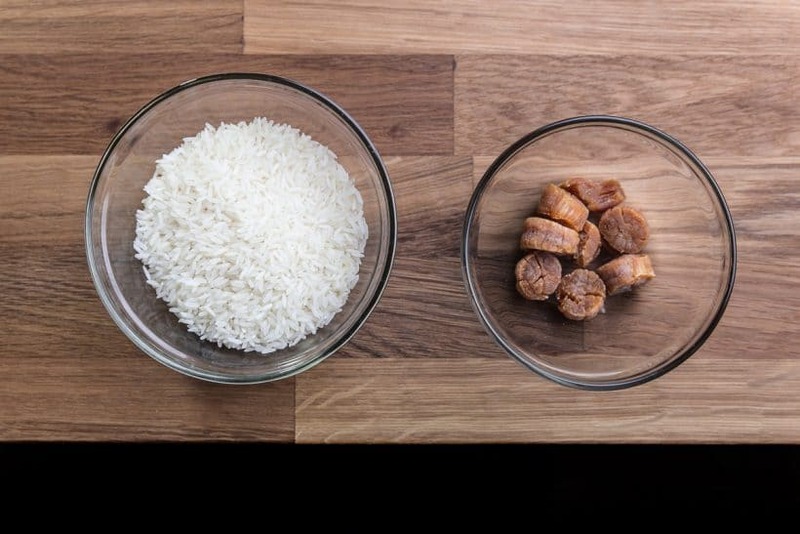 Water-to-rice ratio: 9 – 9.75 cups of water of water for 1 cup of white rice. Looking for more Congee? Try our Chicken Congee in Pressure Cooker Recipe! Add 7 cups (1750ml) of cold water and conpoy into the pot. 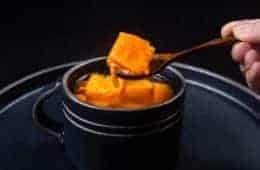 Close lid and cook at high pressure for 30 minutes in an Electric Pressure Cooker. Turn off the heat and Natural Release for 15 minutes. Manually release the remaining pressure by carefully turning the venting knob to the venting position. Open the lid carefully. Turn on the heat (Instant Pot: press sauté button) and stir the congee until the desire thickness. I have been sick for three days and this morning I was hallucinating about having 白粥 . I checked your website and I found exactly what I wanted. 江瑶柱白粥 is like the mercedes of congee, and I conveniently have the dried scallop handy. I halved the quantity and ate the congee over the extended afternoon. The texture is very good, just like home-made. It is not as smooth as restaurant ons but my mother always says restaurants use baking soda to treat the rice. It is creamy and tasty. Please take care and rest well! Can I add sweet potatoes in from the start and cook for the same duration of time with the same settings? It will add flavor to the congee as the sweet potatoes (I assume they will be chunks) will disintegrate when mixing. Hi! I was wondering if you have a pine nut porridge recipe? 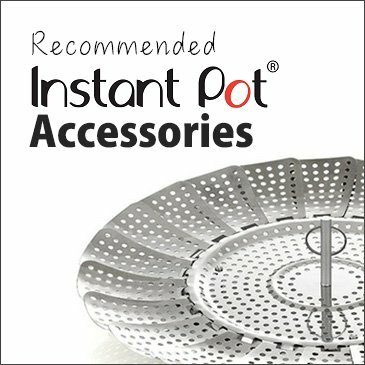 I haven’t been able to find one that is for the instant pot and I’m not really experienced enough to figure it out myself. Thanks! We don’t have a pine nut porridge recipe yet. I have just added it to our super long to-make list. Can you use calrose rice and if so, what alterations would I need for the recipe? 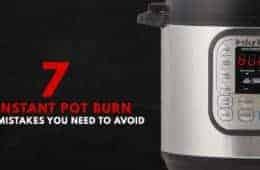 Love your recipes and it’s my go-to for anything instant pot. Keep them coming! Calrose rice will work just fine. I recommend using half Calrose and half Jasmine for the best texture. I’m excited to try this recipe! For the rice are you using a regular measuring cup or the rice cooker measuring cup? We used a regular glass measuring cup. Love jook and I found a recipe here!! A little bit of confused here… When the recipe says cook at high pressure for 30 minutes, does it mean to use pressure cook at high and set the time for 30 minutes? The video shows to use Sauté function with 30 mins. Yes, use the pressure cook button and set the timer to 30 minutes. Just realized we put the wrong clip into the video. It should be the manual or pressure cook button. Hi, I wanted to say that you guys are one of the most responsive n helpful team ! Thank you for your passion! I had a question about soup pouches. I was thinking of using a disposable soup pouch to hold some anchovies, red dates as we sometimes use this to sweeten the porridge. Can I place this in the instant pot? The disposable soup pouch should work in the IP. Would I be able to use chicken broth instead of water? If I only want to make half the amount, do I also half the cooking time? I would like to make the basic congee recipe for a new breakfast option for my kids but I have a shellfish allergy. What would you recommend as an alternative to the scallops? I would just skip the dried scallop as plain congee is quite popular. For breakfast, I would probably scramble an egg or Chinese donuts to serve on the side. Hi, I used Japanese rice and 6 cups of water. I loved it! Perfect! It was like my mother’s jook texture. She laughed as she told me that now I’ll finally be able to make my own. Thank you for all the great recipes. It takes the guesswork out of cooking. The scallops flavored it nicely along with the duck leg I threw in for luck. So happy to hear your story Michele! Duck leg is so flavorful in the congee. I want to double up or possibly triple the recipe. Do I need to extend the cooking time? If you are using a DUO60, it will exceed the safety fill limit by doubling the recipe. For DUO 80, it will work fine by doubling. I love jook/congee, used to eat it most mornings for breakfast when I lived in Hong Kong and Vietnam. Just recently bought my IP and look forward to trying this with conpoy. I tried my regular recipe in my IP this morning, with chilli flakes, pepper and fish and some fish sauce added when done and it turned out great, the instant pot is a wonderful thing! Now off to see if the asian markets in my town sell conpoy! Thank you for sharing your cooking story with us! I have been relying on this congee recipe for a weeklong “dollar a day” eating challenge, making one batch almost every day this week. Thanks for sharing and can’t wait to try all the other congee recipes once the challenge is done! 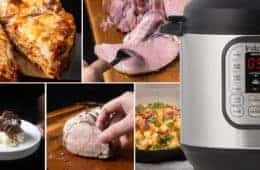 Any ideas of what budget pressure cooker I can also make? I also want to let you know that you’re my go-to site when I look for IP recipes. Fantastic work! Looking forward to seeing new recipes. Happy Canadian Thanksgiving to you! Chicken dishes and pork shoulder meat (in Asian Market) are great for budget meals. We also have another 3 congee recipes that is great for budget meals! Is it possible that i cook congee at night, then leave congee in the pot all night long like a slow cooker? so i can eat in the morning as breakfast?? 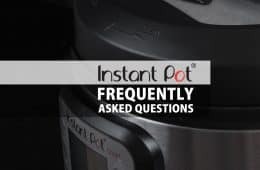 does instant pot has those function available or have you tried?? i am attempting to buy one if it is available. Thanks a lot in advance!! The longest time I would recommend leaving cooked food is 4 hours in the keep warm mode. Hi, I was wondering if I could use this recipe with leftover steamed white rice? 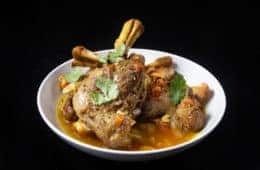 How would I need to adjust the recipe? Also, just want to say I love your recipes! I’ve made this one multiple times as written already. It reminds me of my parents’ cooking. Hi. I made the jook using a stovetop pressure cooker (8L Fagor Duo). Problem is when I release the pressure valve, a lot of ‘rice’ steam (relatively thick white water when cooled) spluttered out. Any ideas to avoid this? Anyone else have this problem? Thanks. If there is a lot of rice steam spluttering out, you may want to wait for a full natural release. I occasionally make plain jook for my baby girl, she loves it thick! I find it difficult to cook in our electric stove though so will try it in the IP. We always measure our rice with the rice cup as stated in your recipe. When measuring the water, do you swap to a regular cup? I’m in th UK so always use ml (if not in a rice cooker). I always come to use your recipes first before trying anything else! Yes, we use regular glass measuring cup for the water. Thank you for this SUPER SIMPLE recipe! I made a slight modification by sautéing a quarter of an onion first, then added all ingredients listed (except the conpoy and added 4 chicken drumsticks instead, and a teaspoon of fish sauce) and programmed the IP to 30 min. And voila! The porridge turned out great to my family’s tasting! Again, thanks for sharing your knowledge! Not sure if you are looking for more congee recipes, but here are some more! How would you use minced pork in the recipe? I want to give it a little more substance. Thanks! You can substitute the minced beef with minced pork in this Instant Pot congee with minced beef. Would the minced pork taste good with the conpoy if I added it to this specific recipe? Minced pork will taste good with this specific recipe as conpoy goes well with many ingredients. Will this recipe work in a 5 qt Instant Pot? And how about with brown rice? This recipe will work in a 5 qt IP! Hi! how many cups of water will I need if I’m using Japanese rice instead of Jasmine rice? Thanks!!!! Thanks for the congee recipe. (Used in a cooks essential pressure cooker.). Been wanting to make congee for awhile but it takes too long on the stove. The conpoy definitely have a marina flavor. Thanks again. Glad to hear it worked in the cooks essential! I notice I pressed the “porridge” button, it shows 20 minutes, then after a few seconds, the display showed “on”, and it takes about 15 minutes to start cooking. So, are all your recipes’ cook time does not this precooked time? And because of this extra prep time, it makes the whole purpose of using pressure cooker less inconvenience, do u have any way to get around it? Thank you. This is one of our oldest recipes and it did not include the precook time (I should add that back in. Thank you for letting us know). There is no way around this as most things require precook/preheat time even with stove top cooking method. My mom only eats jook that is thick like oatmeal. How many cups of water do you think I need to put into a cup of rice? How many cups of jook do you think I will get at the end when it is cook to the consistency (thick) that my mom wants? One cup of rice (230g) to 6 cups of water (1.5L) will yield about 4 large bowls of thick congee. Do you think it’s also possible to put the chicken in at the same time to cook? I was thinking reconstituted shiitake and chicken added to the pot so they could cook together. We actually have a Chicken Congee Recipe here. Thanks for getting back to me. I used your recipe today for breakfast. I made a few modifications. I poached the chicken thighs the night before. Kept the liquid and used it in the congee. I also added in soaked shiitake mushrooms. When the congee was ready I added to chicken to rewarm it. Served it with ginger, green onion, white pepper, and sesame oil. The cooking time for me was a little off the rice wasn’t as broken up as I like so I’m going to increase the time to 35 min and see how that goes. Would love to see more Chinese recipes such as Stewed Beef Brisket in Chu Hou Sauce (柱侯蘿蔔炆牛腩). Let us know how you like it at 35 mins. We will keep working on new recipes!!! I love jook, and usually cook it on the stovetop. 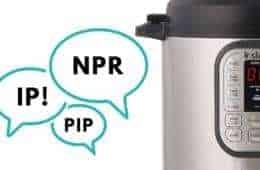 When I received my Instant Pot, I saw that it has a “porridge” setting. When would it be appropriate to use that setting? I know your recipe is for non-specific pressure cookers, but for the IP, would the porridge setting work? Thanks! Hi Tiphanie, thank you for your question. This Congee recipe was developed in the Instant Pot (Most of our recipes are developed in it!). We used the manual button for our recipes because most of the Instant Pot buttons (besides rice, yogurt, steam, slow cook) are pre-set timing buttons for your convenience. For example if you cook for 20 minutes with the porridge button, you will get the same result as cooking for 20 minutes with the manual button.